Boom Boom Ain’t it Great to be Crazy – Boom, Boom Ain’t it Great to be Crazy is a song on the album by Countdown Kids with lots of silly lyrics that older kids will surely appreciate! R enjoyed the beat and had fun dancing along to the music. 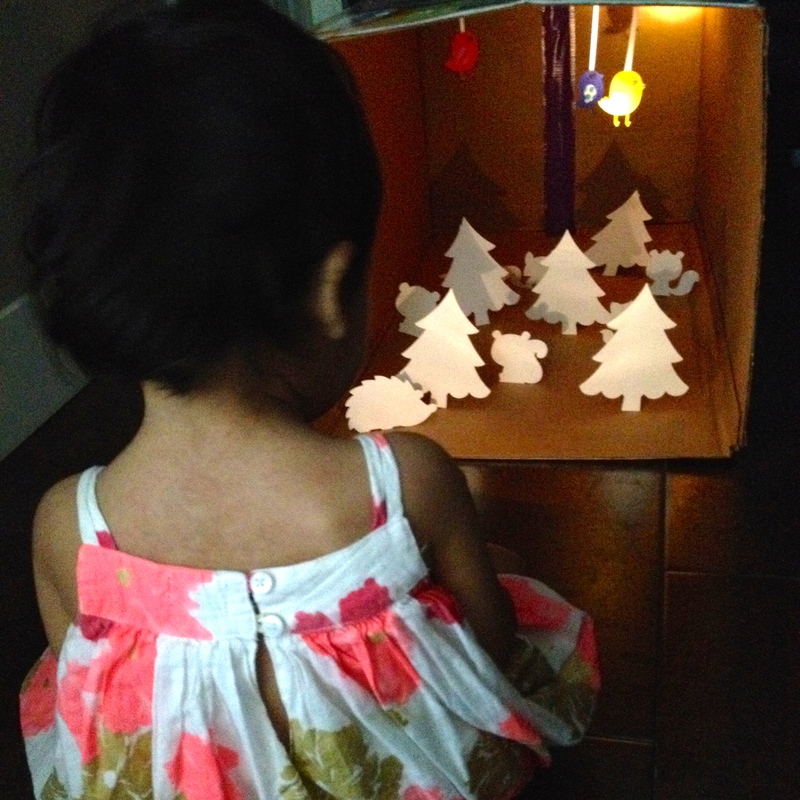 I used the “under the starts” box from yesterday to make a forest scene. In the box, I taped in a variety of forest animal silhouettes and trees that I cut out using my Cricut Machine (Create-a-Critter cartridge) to make the scene. R used the flash light to cast shadows onto the scene. I played our song for the day in the background and I talked about what animals were hiding in our shadow forest. R pointed to and named the birds and called the other forest animals “doggie”. a. 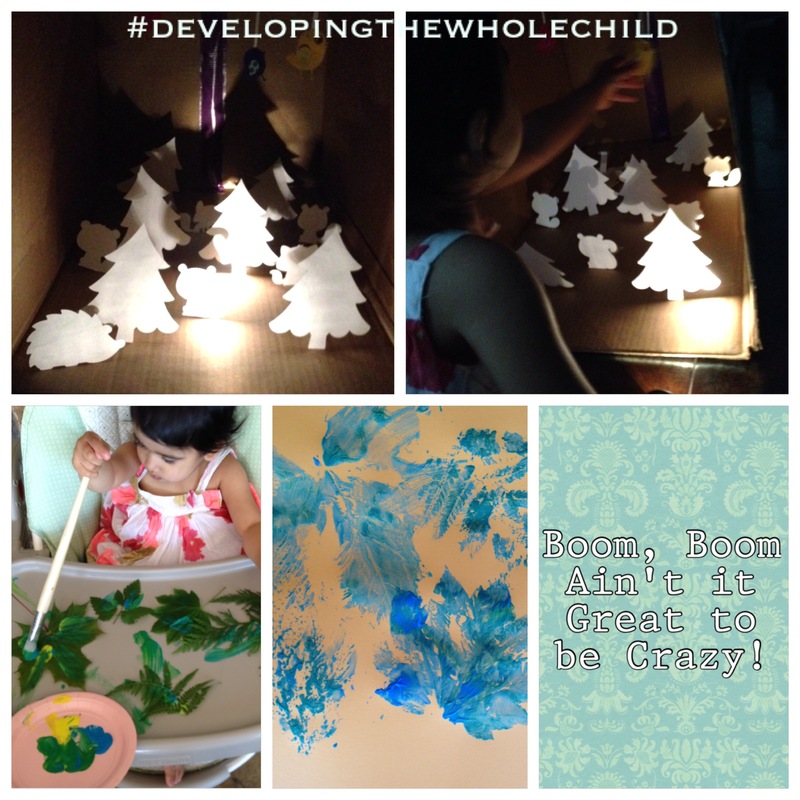 Allow the child to use the forest scene as a story starter. Either scribe the story for the child or have him/her write one on his/her own. b. With older children, research what animals live in the forest and add descriptions of the forest habitat to the forest scene. 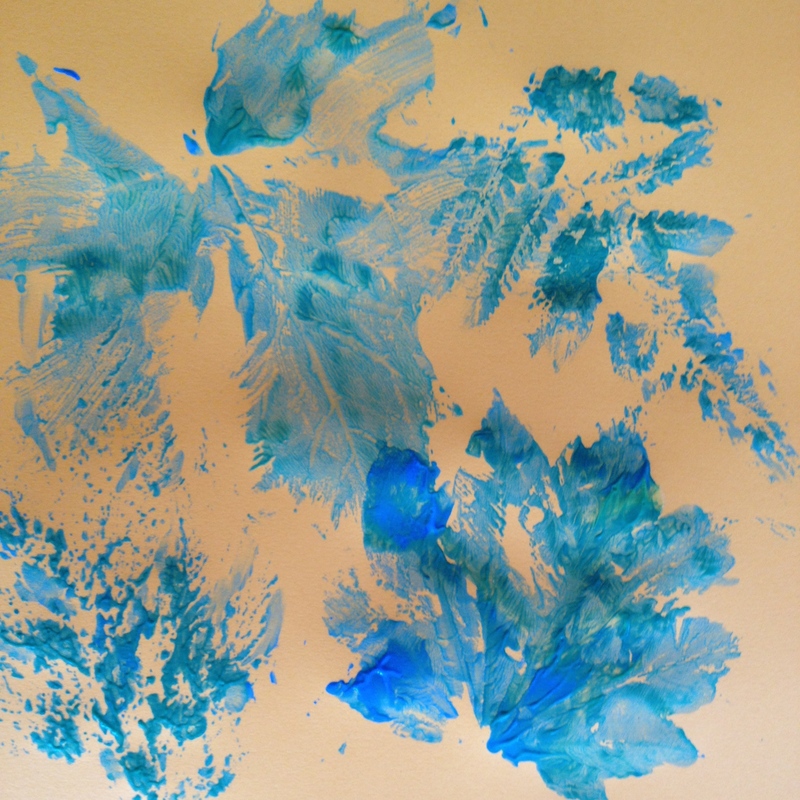 We used the leaves we found on the forest floor from our outdoor play to paint and then make prints with. 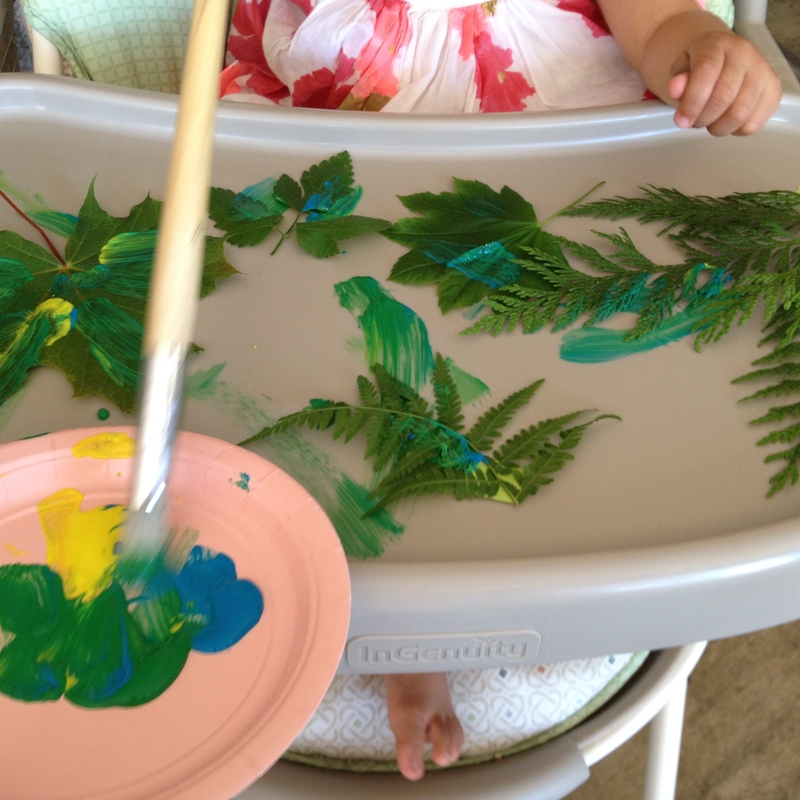 R painted the leaves and I created the prints. The printed paper can be used as wrapping paper or a background for a greeting card.